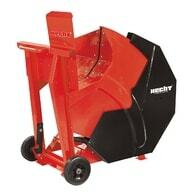 Electric log saw with power input of 2200W, diameter of the log - up to 135 mm, Blade diameter – 405 mm, weight – 35 kg. 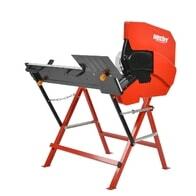 Electric circular saw for wood with power 2800W. Maximum wood diameter 17 cm. Blade diameter 505 mm. Weight 64 kg. Easy to use. Electric circular saw for wood with power input 5000W. Maximum wood diameter 25 cm. Blade diameter 700 mm. Weight 88 kg. Easy to use. 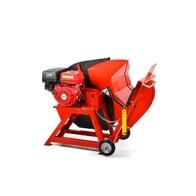 Petrol powered log saw with power output of 13 HP. 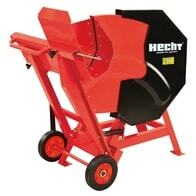 Suitable for log with diameter up to 23 cm, log length is adjustable.